Hollandia's professional staff of horticulturists and designers are very creative and enjoy working with customers to sketch beautifully landscaped gardens. 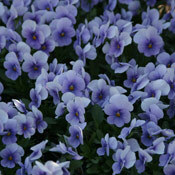 A staff member will meet with customers by appointment only to help fulfill any gardener's dream. Customers need to bring photos and measurements, as well as a plot plan of the specific garden area(s) to be sketched. 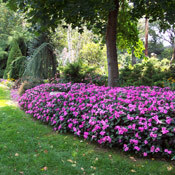 Whether you need front foundation plantings, garden islands to enhance your yard, patio or deck plant displays, shrubs for soft screening to border your property, or perennial theme gardens, we will create a sketch to include new and unique trees, shrubs, perennials, annuals, garden ornaments and everything to plant an interesting and enjoyable garden landscape. 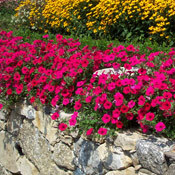 Hollandia has well over 100 years of combined landscape design and installation experience. We know how to read your property and create a stunning and livable outdoor complement for your home. 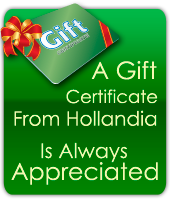 Give us a call at 203-743-0267, and get started with bringing the Hollandia touch to your estate. Want to start brainstorming on your own?